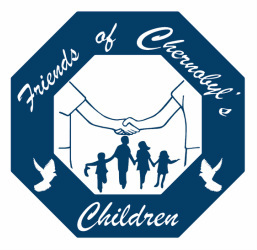 Based in Horsted Keynes, we are a small, registered charity aiming to support disadvantaged children and their families living in and around the city of Mogilev in Belarus, one of the areas worst affected by the Chernobyl nuclear disaster of 1986. Our charity is entirely volunteer run, so every penny raised goes straight towards helping the children. Every summer we bring a group of around 14 children to Sussex for a month of fun activities, fresh air and healthy food, and send them home with much needed clothing, shoes, vitamins and basic medicines. Our aim is to boost the children's immune systems and to maintain their health, and we ensure each child receives annual dental treatment and eye checks during their visit. The children stay with local host families who care for them in the evenings and at weekends. Throughout the week they take part in our activity programme which runs 9am until 5pm daily. We provide an action-packed programme which includes swimming, camping, visits to farms and activity parks, and much more. To keep up to date with events or view photos of the visits, find us on Facebook. We are a local branch of a small national charity. If you want to find out more about other groups, or the charity as a whole, you can visit the national FOCC website here.